You don't have to fight highway traffic to enjoy all of the summer and early autumn splendors of Newport, Rhode Island. After a hiatus of many years, Providence-Newport ferry service was relaunched in 2016, and it is proving to be a popular transportation alternative again in 2018. The Rhode Island Department of Transportation (RIDOT) has contracted with Seastreak to offer this ferry service between Providence and Newport. The Providence-Newport ferry operates seven days a week, including holidays, from May 25 through October 8, Columbus Day, in 2018 during the Ocean State's busy summer and early fall tourism season. 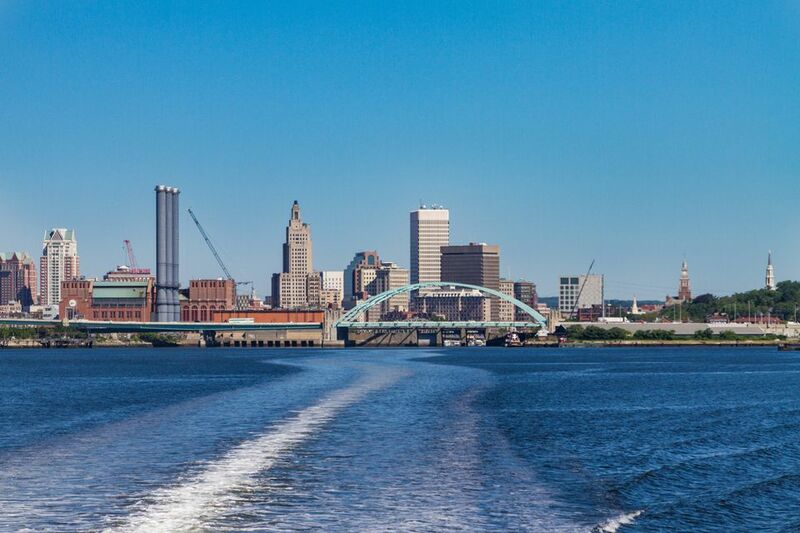 The ferry is not only a stress-free way to travel directly between Rhode Island's capital city and Newport, it's also a great way to save on gas, avoid parking hassles and preserve the environment. Consider it a way to jump start your vacation, whether you're off for a week or for the evening. Rhode Island Governor Gina Raimondo said in a press release: "This ferry offers Rhode Islanders and tourists alike a great new way to take advantage of all that Newport and Providence have to offer. We are adding a convenient transportation option to help beat traffic during the busy summer tourism season, connecting two world-class cities for eating and exploring, and better utilizing one of our state's greatest assets–Narraganset Bay." Seastreak operates a number of other ferries in the Northeast including the New Bedford to Martha's Vineyard ferry, the New Bedford to Nantucket ferry and the Boston to Martha's Vineyard ferry. The ferry is handicapped accessible. The trip from Providence to Newport takes 60 minutes. That's not much longer than it would take to drive, and you'll save on tolls and gas–not just aggravation. The fare is an affordable $10 one way or $20 round trip. Discounted rates of $5 one way, $10 round trip are available for children, seniors and the disabled. Children under three ride free with an adult. Bring your bike for no extra charge. Pets travel free on the ferry, too. Tickets are non-refundable, but you may be able to exchange your reservation for another available departure. An exchange fee of $5 applies for a one-way trip; it's $10 to change a round-trip ticket. Reservations are a good idea, as some ferry trips are selling out. Reserve your space on the ferry by purchasing tickets online. The vessel, a high-speed, two-level catamaran built in Bristol, Rhode Island, and aptly named the Ocean State, can accommodate a maximum of 149 passengers with 84 seats in the climate-controlled cabin and additional seating outside on the top deck. Bar service is available on-board. The ferry docks at the Seastreak Ferry Terminal in Providence, located at 25 India Street. Free parking for 120 cars is available on-site. RIPTA offers a complimentary shuttle bus to the ferry terminal from pick-up stops at the Providence Convention Center, Kennedy Plaza (Stop X) and Providence Station. Shuttle buses also meet the ferry at the terminal 5 minutes after the boat docks to take passengers to downtown Providence. Check the detailed shuttle schedule to be sure you are at your stop on time to make it to the boat. In Newport, the ferry docks at Perrotti Park at 39 America's Cup Avenue. All-day parking is available at the Gateway Visitors Center for a fee. In Newport, tours and buses depart regularly from the Gateway Visitors Center, just a short walk from the ferry dock in Perrotti Park, taking visitors to the Bellevue Avenue mansions, the International Tennis Hall of Fame, the Cliff Walk, restaurants and other attractions. 9:30 a.m., 12:30 p.m., 3:30 p.m., 6:30 p.m., 9:30 p.m.
11 a.m., 2 p.m., 5 p.m., 8 p.m., 11 p.m.
9 a.m., 12 p.m., 5:30 p.m.
Special schedules are in effect for holidays, such as the 4th of July and Labor Day, and for the early fall. For more information on Providence-Newport ferry service, call RIDOT Customer Service at 401-222-2450 or toll free, 844-DOT-ROAD. You can also call SeaStreak toll free at 800-BOATRIDE (800-262-8743).